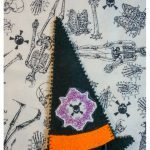 I have been waiting anxiously for months now for it to be close enough to Halloween to be acceptable to start making all things Halloween. 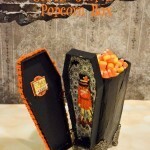 I might love Halloween a little bit! 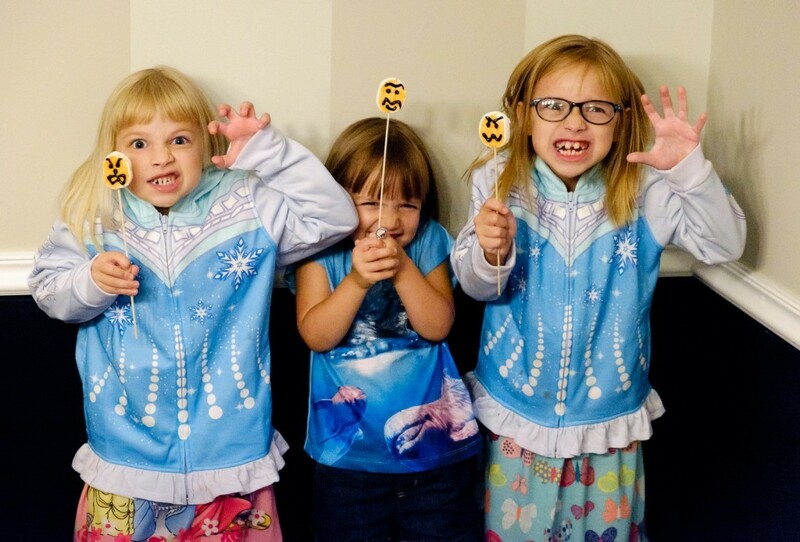 Luckily for me, I have friends who love it as much as I do. 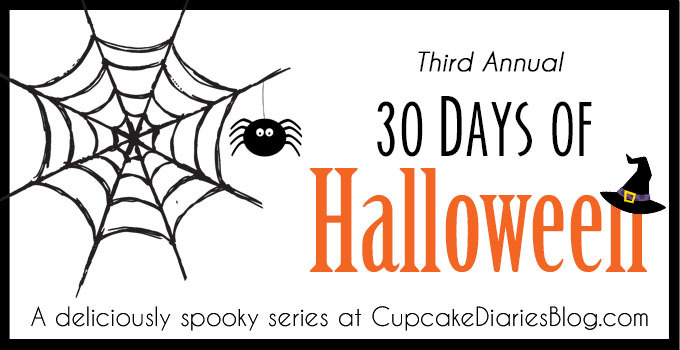 Alli has a 30 Days of Halloween series and I’ve been looking forward to it since last year. 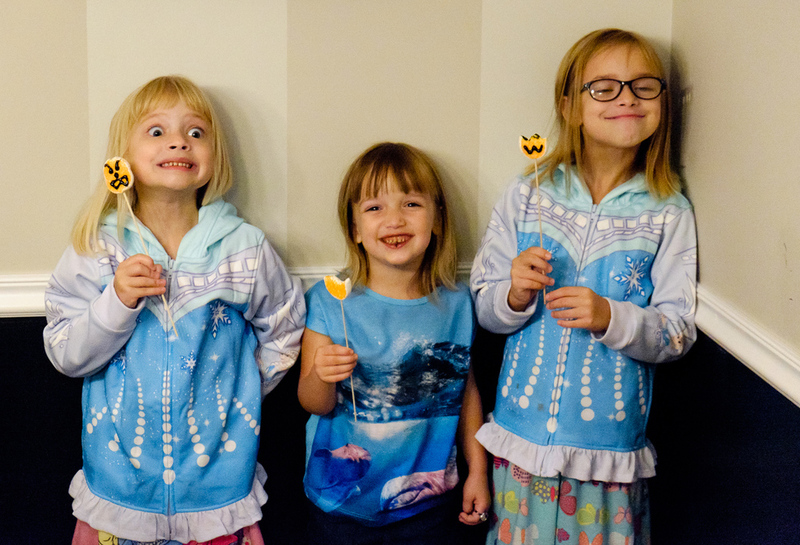 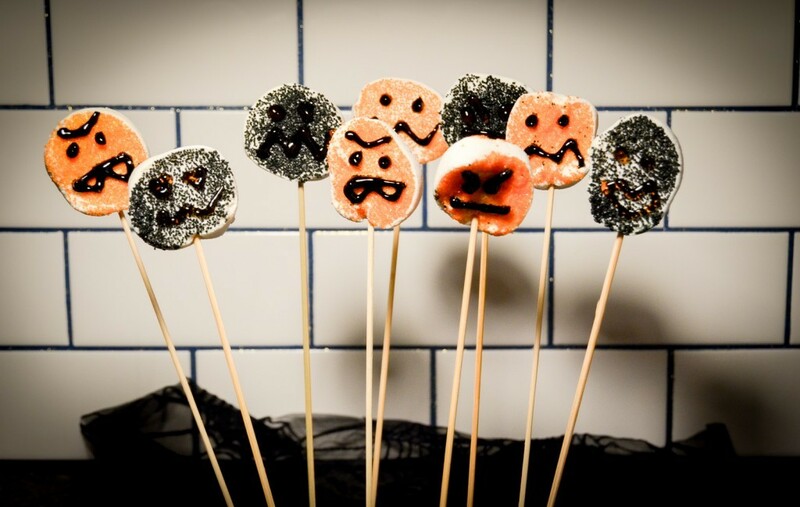 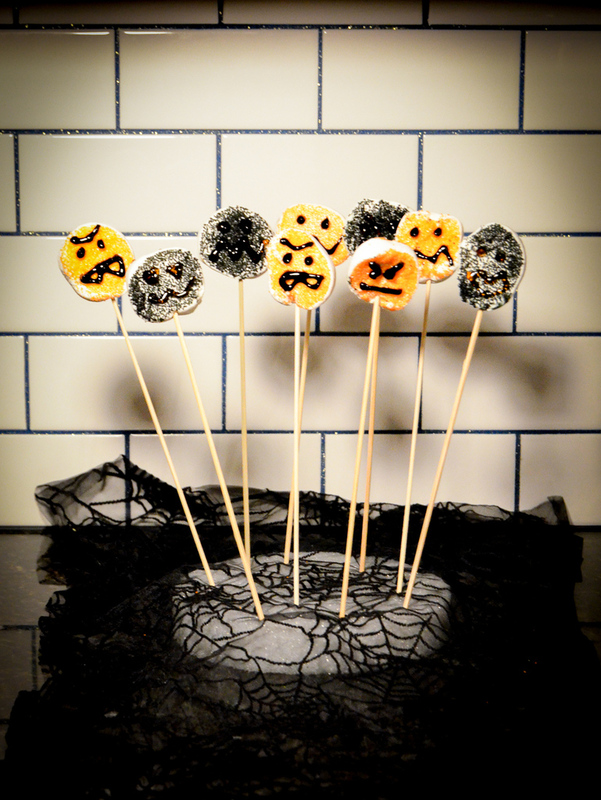 This year, she’s featuring recipes and printables from a bunch of Halloween-loving bloggers, and I’m super excited to share my Monster Marshmallow Lollipops with you today! 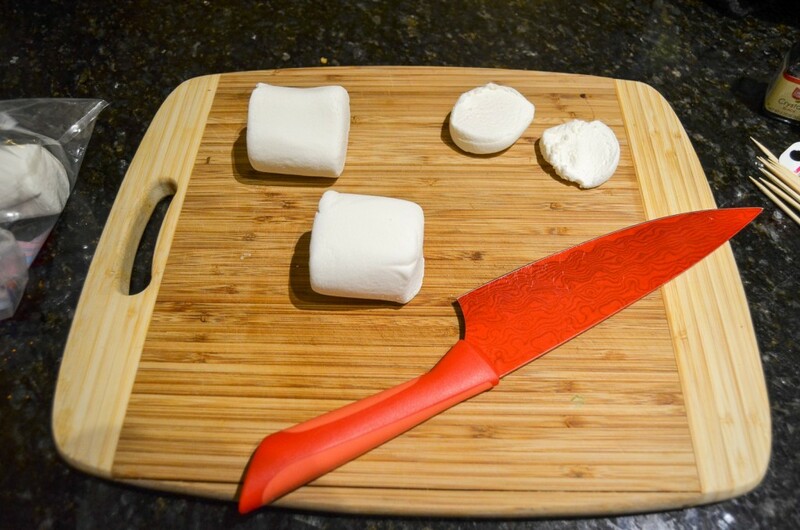 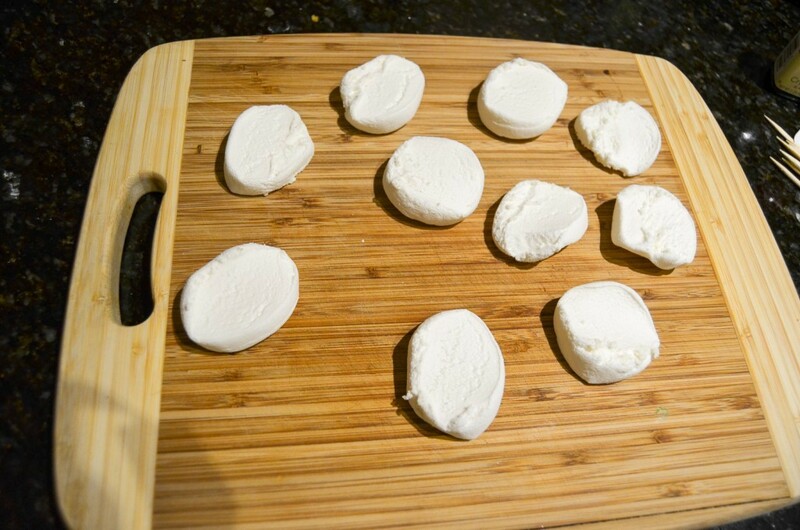 Take a marshmallow and cut it into four discs. 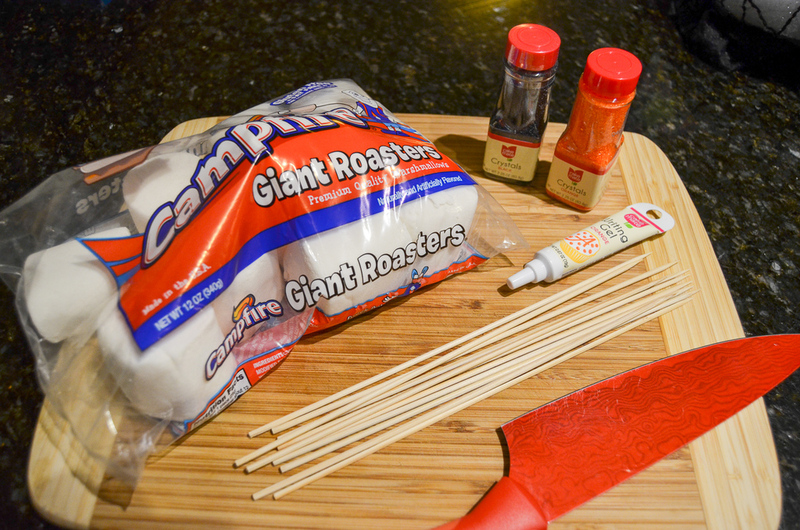 Cut as many marshmallows as you need. 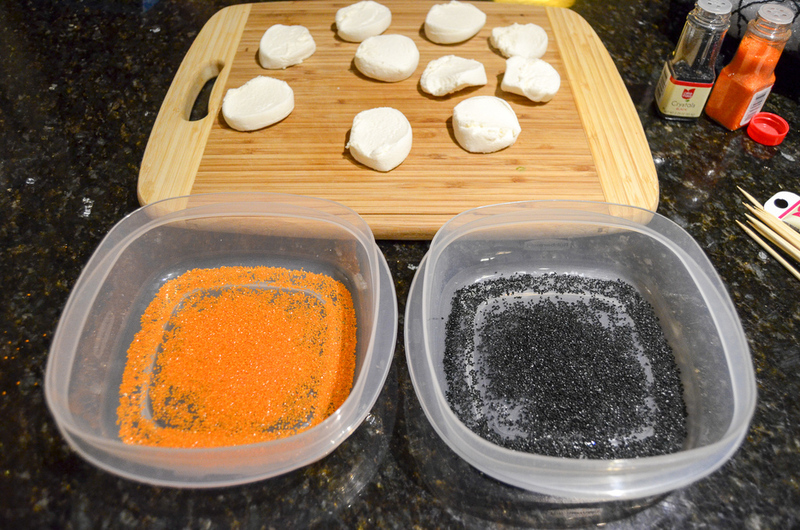 Take two bowls or plastic containers. 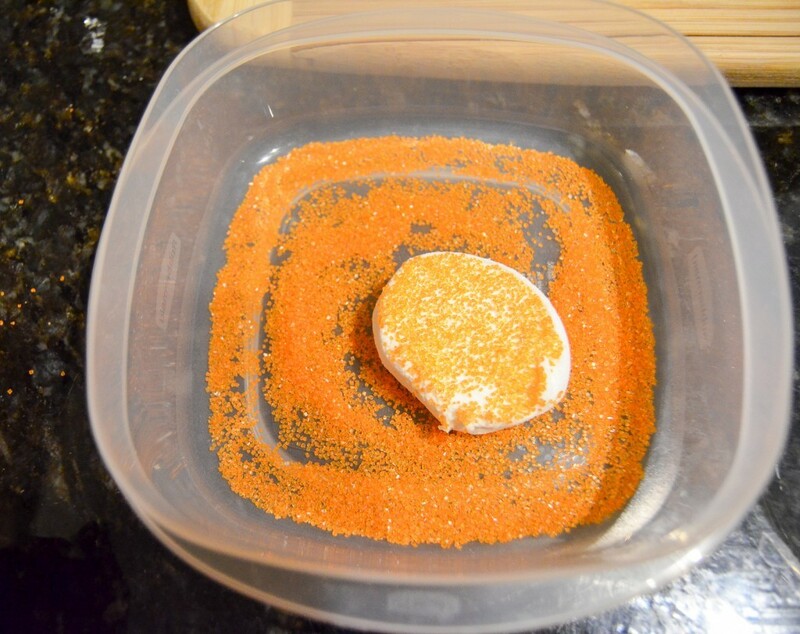 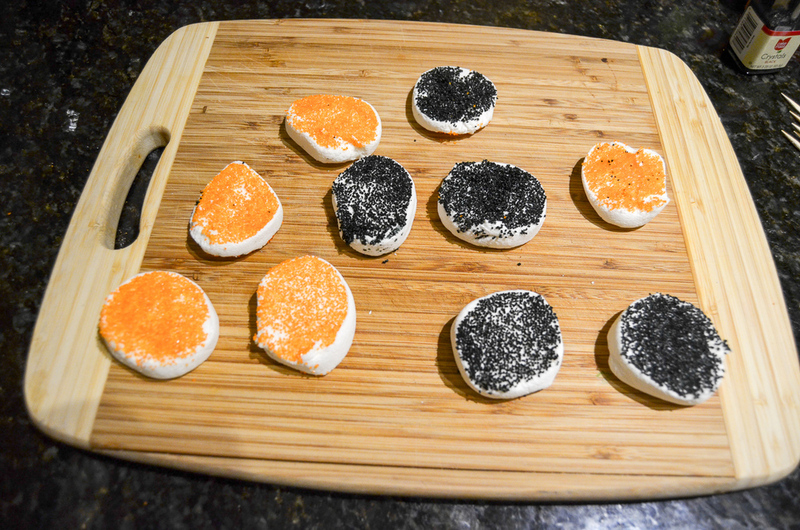 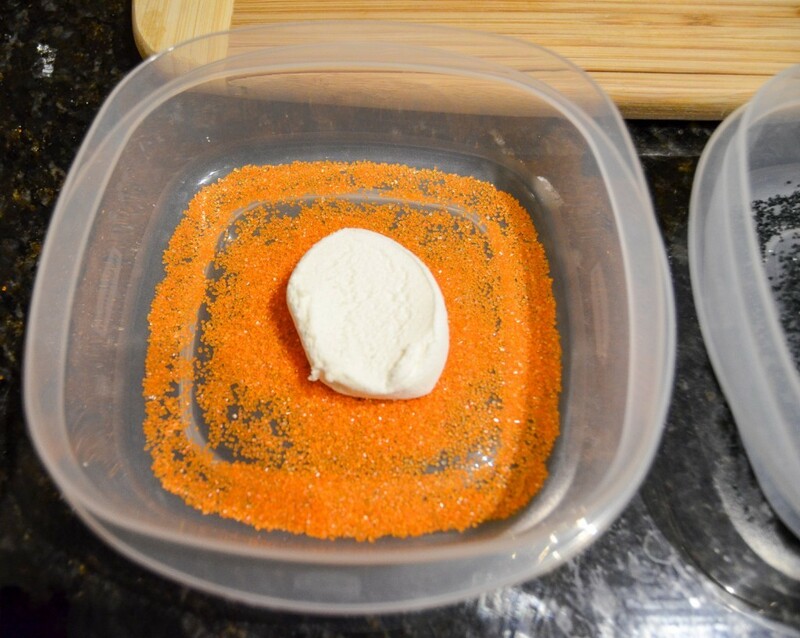 Put the sprinkles inside–one color per container. Place each slice of marshmallow in the sprinkles, completely covering each side. 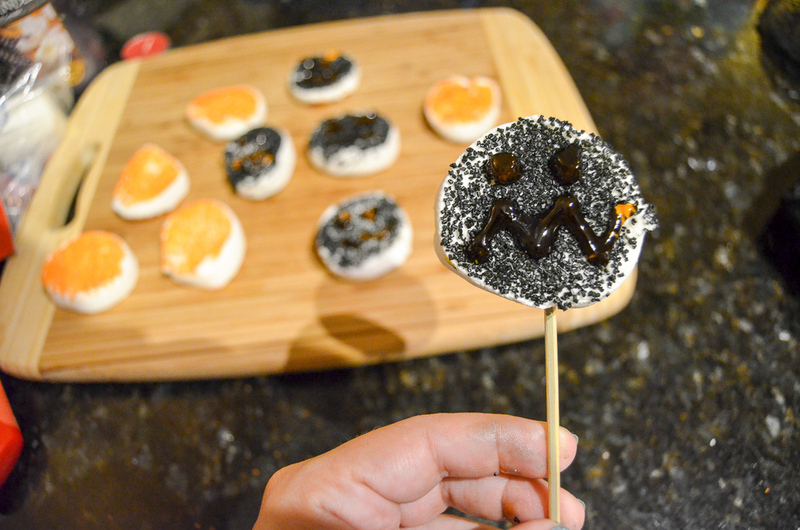 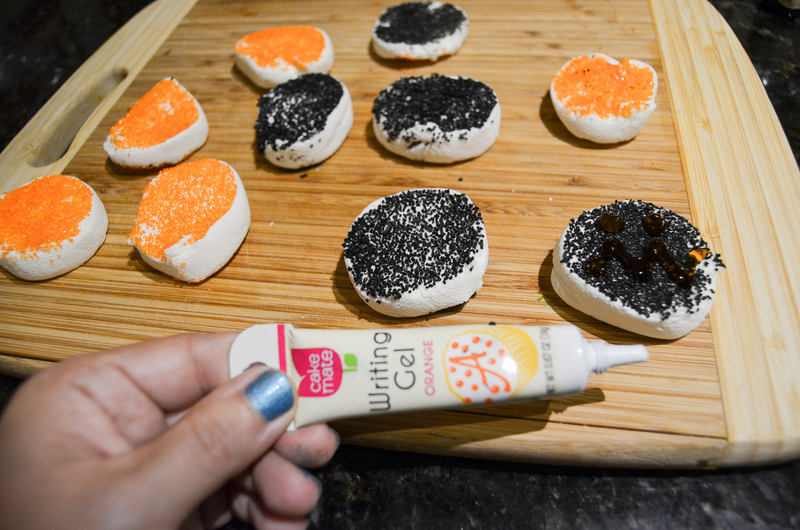 With your writing gel, make monster faces on the sprinkle-covered marshmallows. 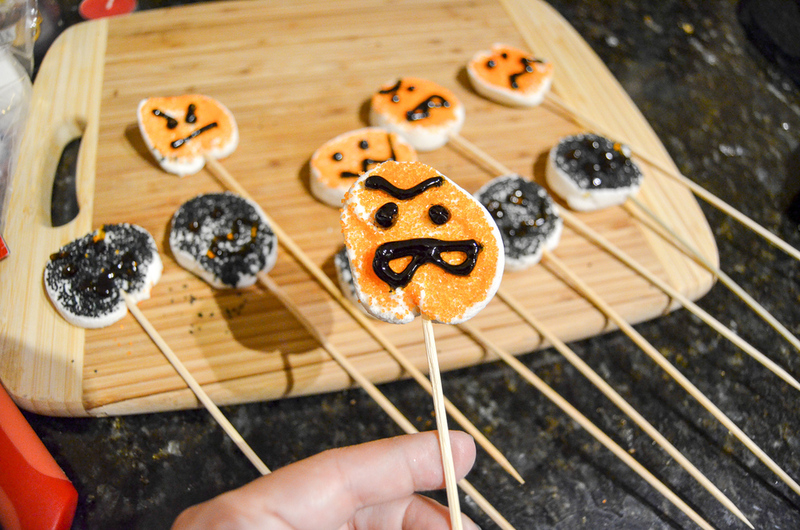 Carefully insert the skewer/stick into the bottom of the marshmallow. 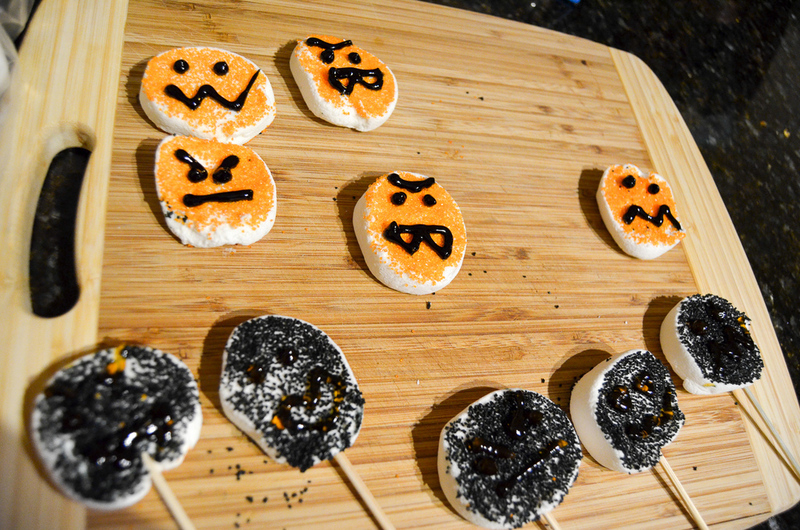 I used a styrofoam disc covered in fabric to display my Monster Marshmallow Lollipops. 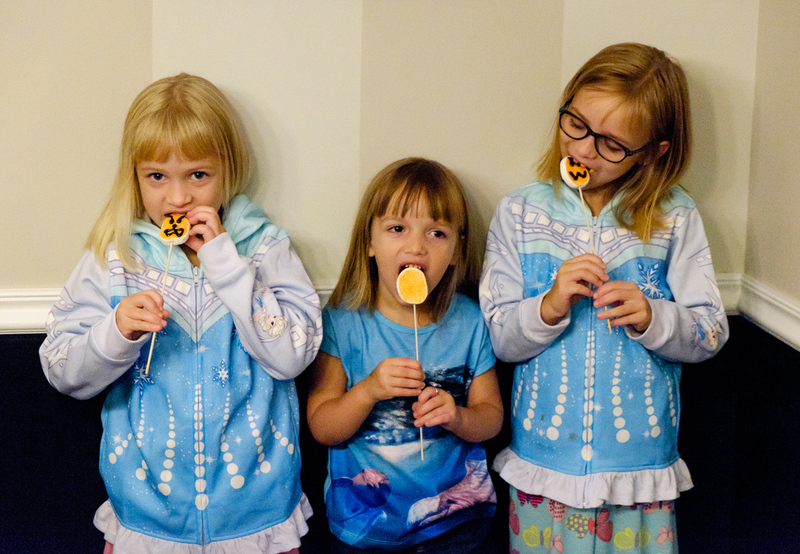 The final step is to let your kids eat! 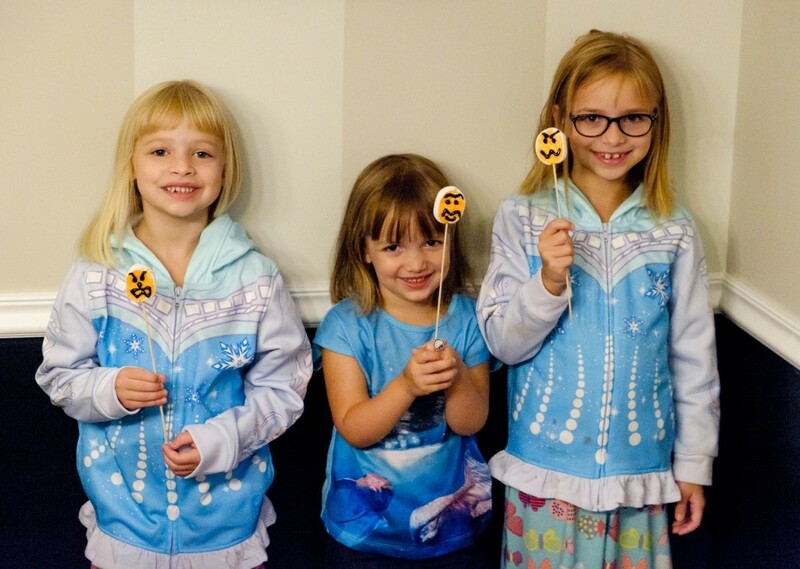 These were a huge bit with my girls, and it’s extra awesome that they can help make them (minus the cutting). 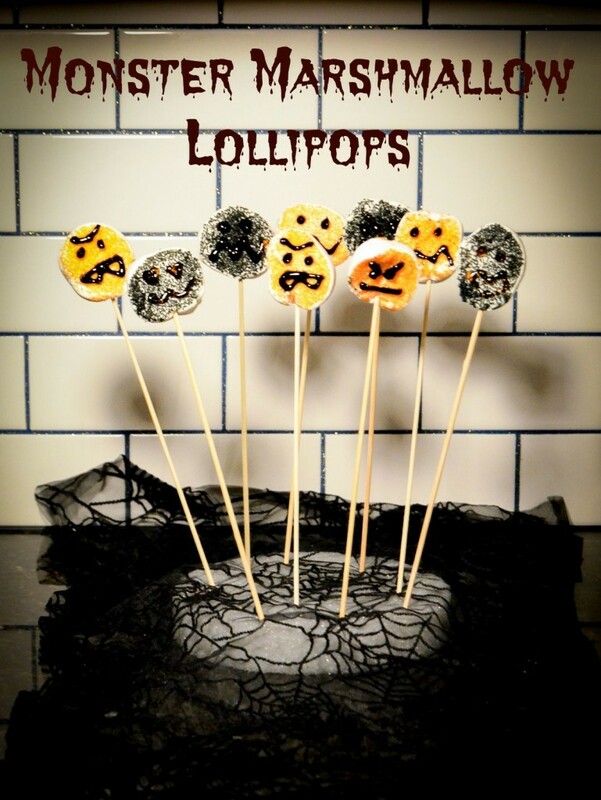 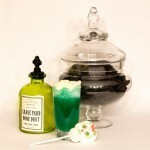 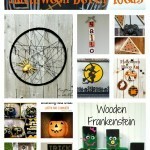 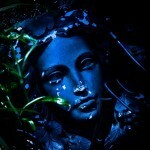 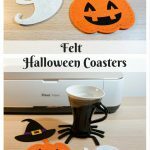 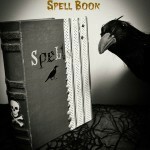 Make sure you check out the rest of the Halloween fun!